Spyke 4 RACE Lady Div, 2pcs. The new spirit of racing. No race is without a challenge and we ourselves know how to be the best enemy. Overtake others and yourself, boldly yet in total safety, in an infinite challenge with passion, your own limits and desires and a new spirit which guides us in a world which gets faster and faster. 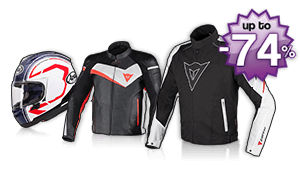 Feel the speed, wear Spyke. There are too many imitations: Spyke leads the pack with a collection which opens a new path with innovative design, solutions, materials, active and passive protection gear. It adapts to the paths of contemporary style. Life is a challenge: Spyke has already picked up the gauntlet.